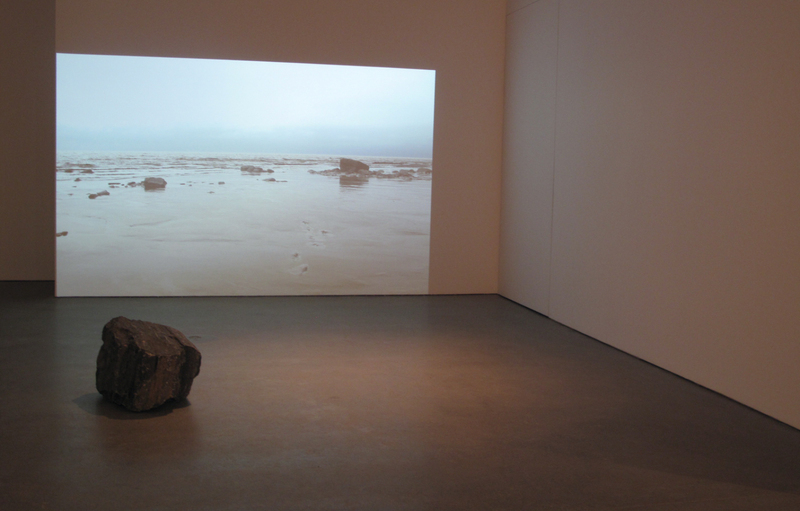 The creation of Les erres stemmed from a landscape experiment conducted at low tide during solitary daily strolls. A continuation of ...les sentiers battus, Les erres explores the anonymity of our environment, along with its barely perceptible but constant transformations. 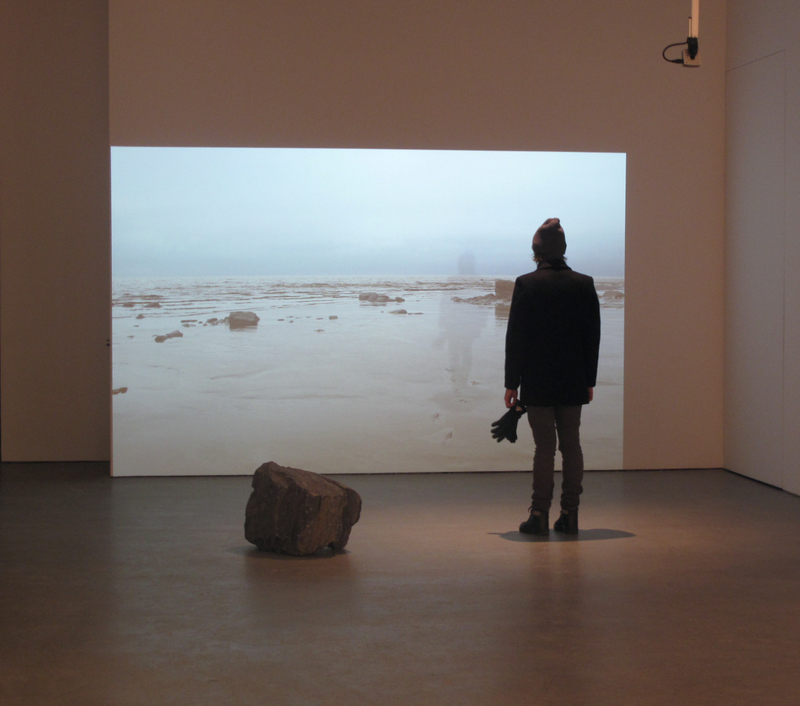 The images used to create this installation were captured and filmed on the banks of the St. Lawrence River, where the footprints of passers-by mark the ground in a direct and visible way, and are then wiped away by rain, wind and tide. These tracks evoke the transitory passage of the walkers and their disappearance. 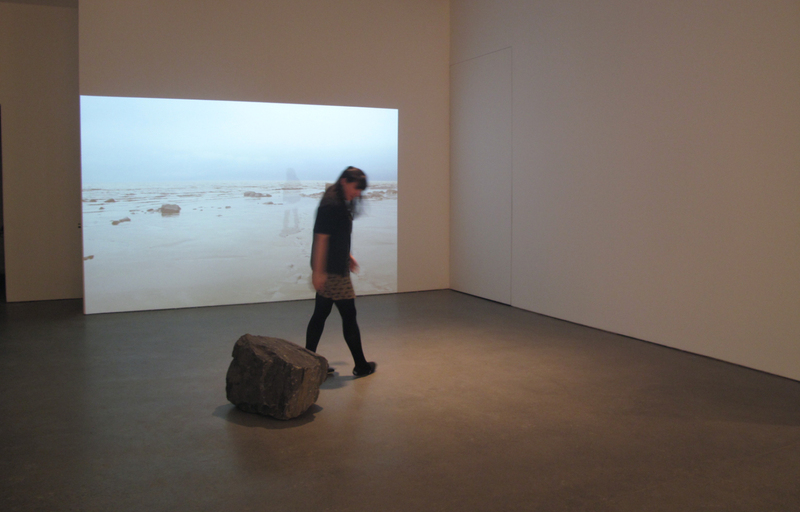 The installation is made up a projection, a motion-detection device, a Web camera and a rock, arranged on the floor of the gallery, which invites the visitor to approach them or sit down. 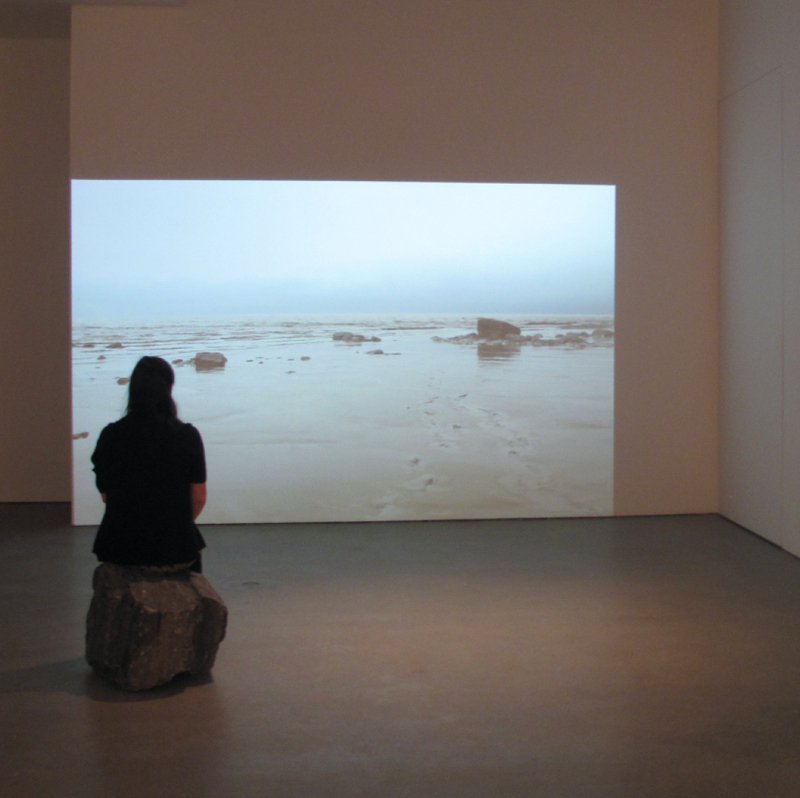 When entering the exhibition space, the visitor sees a landscape projected on the wall: a sand bar in the foreground, the river and horizon in the background. Rocks are scattered about. 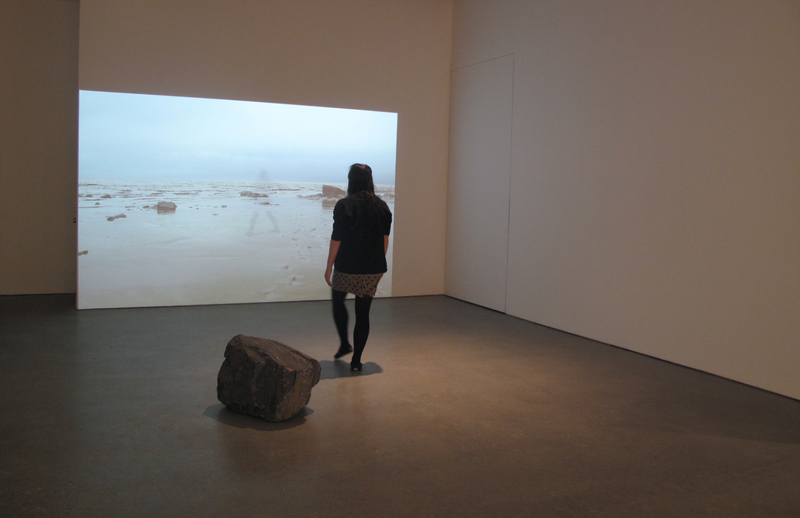 When one or more people move through the exhibition space, they see, with a slight time-lag, their own silhouette appear, superimposed on the projection. 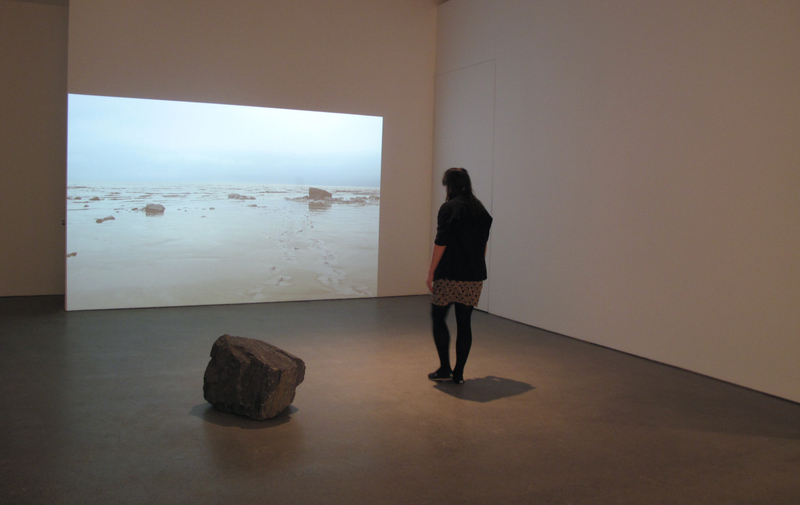 Hearkening back to the transformations and displacements captured at the original site, footprints appear in the projected landscape. 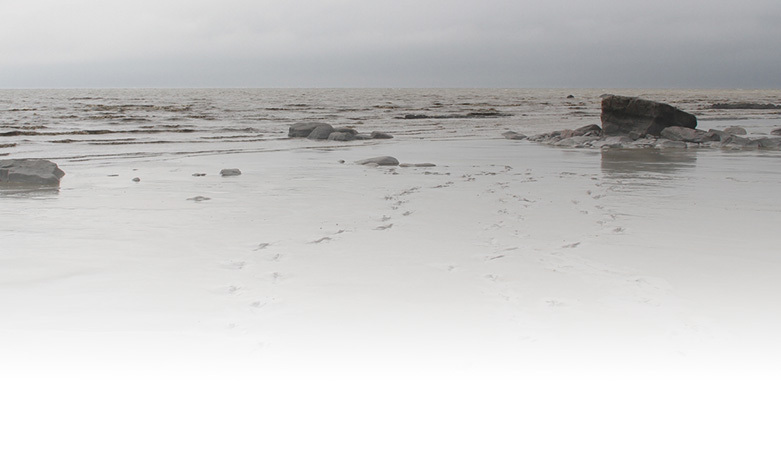 Following the images of some ten sets of tracks, the video images of a rising tide wash away the footprints. 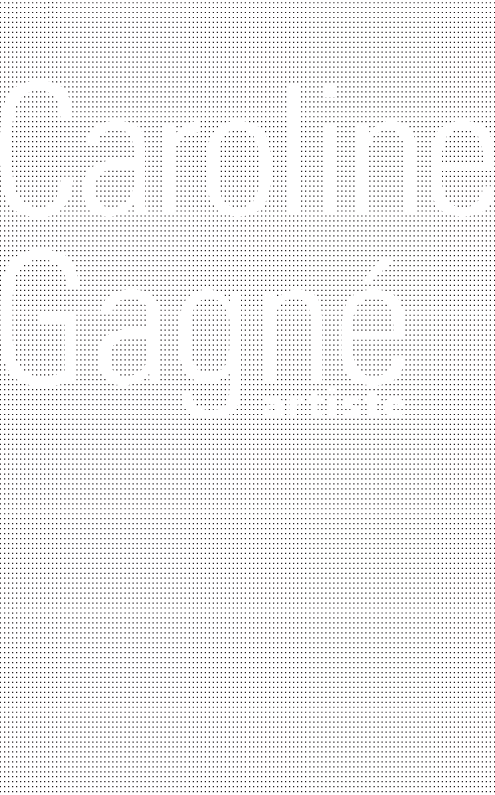 The cycle then begins anew with a fresh image.